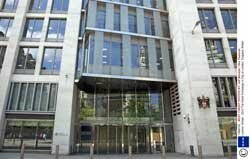 The London Stock Exchange says some data providers have not been able to get their systems ready for the new core trading platform to which it migrated this week. The stock exchange, says it is working closely with these data providers to resolve any problems. The company migrated its trading from its .Net based Tradelect system to the Linux-based MillenniumIT software on Monday. "It was a complex migration and the LSE worked with all of our 400-plus member firms and vendors over 15 months to ensure third parties were ready for the go-live. Unfortunately a couple of market data vendors have been unable to ensure that their systems are ready to align to the new Millennium Exchange platform and we are actively working with them to help resolve their issues," said a statement. "All other trading customers and vendors are successfully trading on the new platform, benefitting from Millennium Exchange's superior functionality and speed. Since Monday morning the LSE's UK cash markets operating on Millennium Exchange have handled over 75 million client orders with an average latency of 125 microseconds." The Financial Times reported that data supplier Thomson Reuters and brokerage TD Waterhouse reported problems.